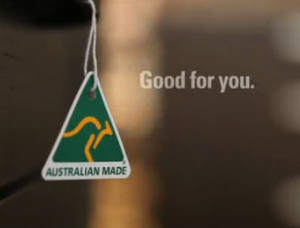 The Australian Made Campaign is urging consumers to start buying local products or risk losing more jobs, following the announcement of both Ford and Holden that they are planning to quit their operations in Australia and move them elsewhere in the next few years. According to the news release featured on the official website of the Australian Made Campaign, Chief Executive Ian Harrison said that he was extremely disappointed with the response of Australia’s consumers to the whole situation, claiming that they had not fully realised the extent of the repercussions of choosing imported instead of domestic products. He said that Holden’s imminent departure was just another in a long line of decisions by companies in Australia to import rather than manufacture locally, naming Heinz, Pacific Brands and Electrolux as recent examples from other sectors. “Continuing on this trajectory will have dire consequences for Australian industry, Australian jobs and Australian communities,” Mr Harrison said. The Australian Made Campaign is a not-for-profit organisation that administers the green-and-gold Australian Made, Australian Grown (AMAG) logo. The logo is Australia’s registered certification trade mark for genuine Australian products and produce. The organizations aims at securing government funding for educational programs in order to improve consumers’ understanding about the meaning of the various country of origin claims on labelling and the importance of buying Australian made and grown products.